As the number of mobile devices skyrockets users are increasingly relying on mobile websites and mobile apps to interact in business. Whether it is a website or a B2 B web app, Digital Active can provide the platform for your organization to connect to the mobile users. We develop mobile sites utilizing our own ActiveCMS content management software. This allows for updates and editing to be in one place. Simple design allows for visitors to easily access the information they need and connect with your group. 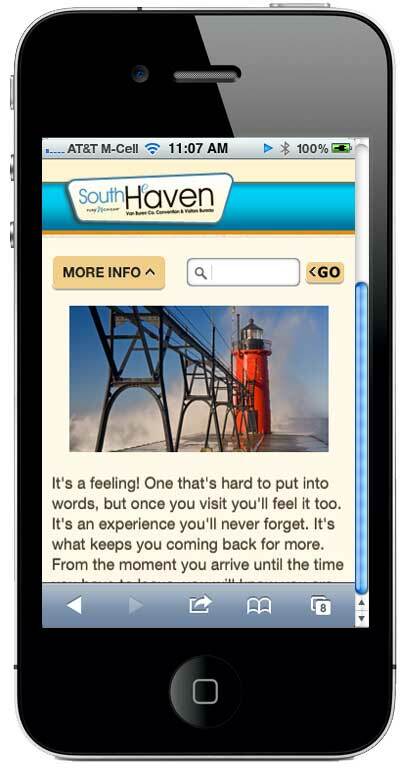 Contact Digital Active today to learn how your online presence can be a mobile presence. "Our Regional Sales Tool is the best thing we've done in 5 years. It has changed the way we do business."